Airodump-ng and Aireplay-ng are part of aircrack-ng packages. 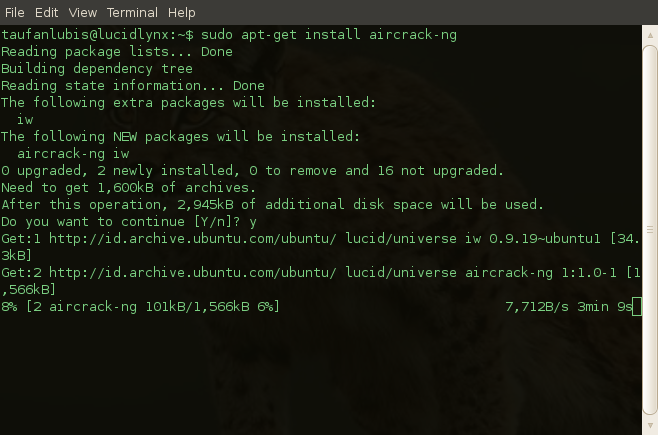 So, you just install aircrack-ng then these both tools will automatically available. 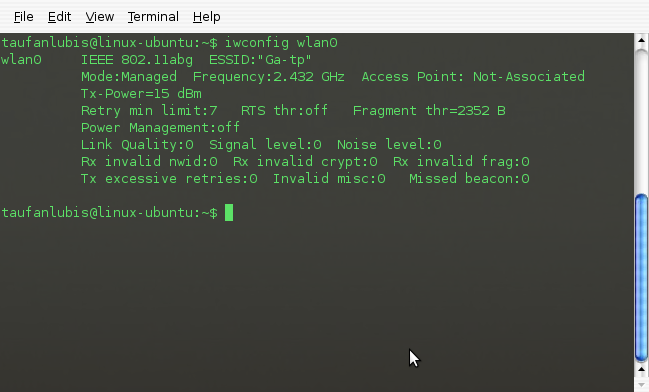 Make sure you are connected to the Internet then open your Lucid Lynx terminal (Application > Accessories > Terminal). 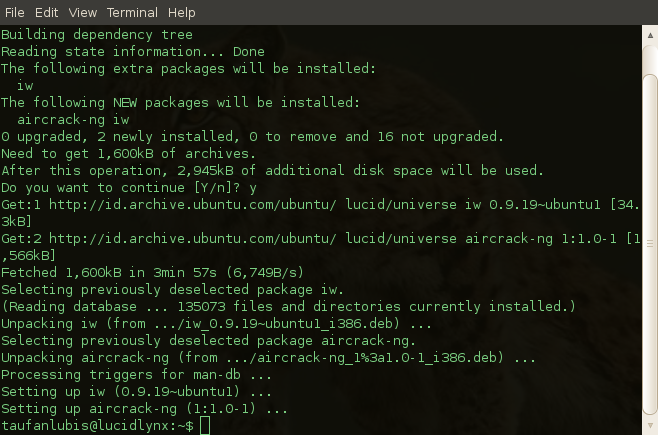 Type $sudo apt-get install aircrack-ng. Now, both airodump-ng and aireplay-ng are available in your system. my os is ubuntu-10.10 mavreck . when i install game and want to play its grafics play slow slow and stop some time. plz send me the solution for it. my laptop model is compacq preserio cq40-601tu. i want to find necessary driver for my all hardwaer. why do if i use ubuntu 12.04?